So in blogger time, I'm probably super behind here on the game. 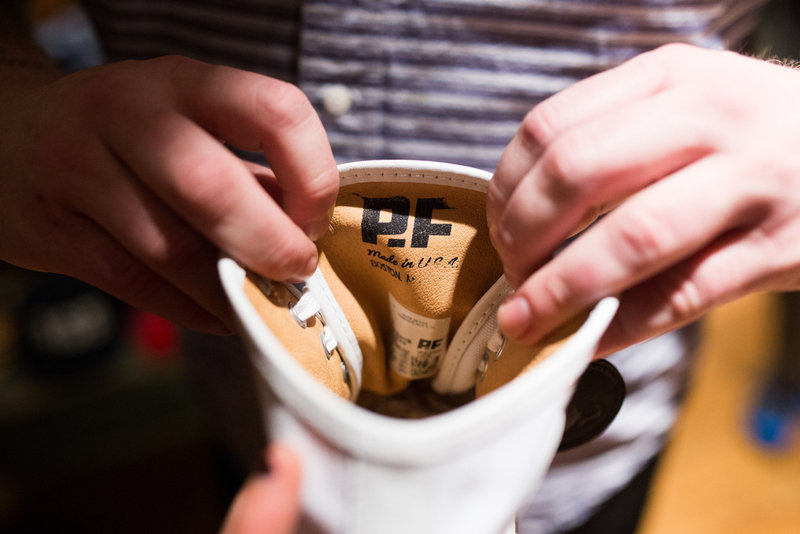 A couple weeks ago I had the opportunity to take some photos at Ball and Buck for the release of PF Flyers Made in America release. The shoes are designed and manufactured right here in Boston. It was super cool to be around so many creative people who also believe in the integrity of American made. The event was also sponsored by Four Roses Bourbon, so obviously it was a great time.